With their squashed snouts, bulging eyes and squat spindly legs, these diminutive dogs belong to one of Britain’s fastest growing breeds according to the Daily Mail. They aren’t the only ones. The French bulldog — a kind of ‘bulldog-lite’ which emerged in the 19th century when traditional bulldogs were mated with pugs and terriers to create a miniature version — is one of the fastest growing breeds in Britain, with owners willing to pay £1,000 for one. Last year, the Kennel Club received 6,990 new French bulldog registrations — an increase of 49 per cent on the previous year and of more than 1,000 per cent compared to ten years ago. 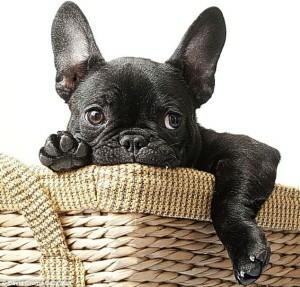 But although responsibly-bred Frenchies can enjoy long and healthy lives, living for more than a decade, the breed is prone to health problems. Their short snouts and compact heads, the result of centuries of selective breeding, mean their airways are compacted. They struggle to regulate their temperature, and find breathing in warm weather difficult. Exposure to extreme heat can be lethal.